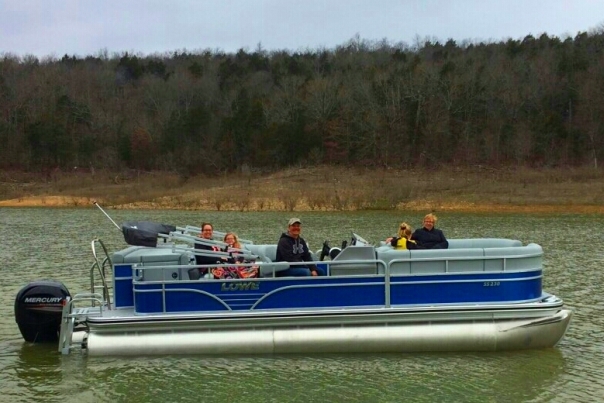 Lowe SS230 is a 23 feet 7 inch long Tritoon (3 log pontoon) with a super quiet and powerful Mercury 150 HP 4 stroke motor. This very stable boat will hold up to 14 people (weight limitations apply). This boat has a 9 foot bimini top, radio with AM/FM tuner, a USB/MP3 port, and fish/depth finder. This boat can be used for cruising, swimming and fishing.